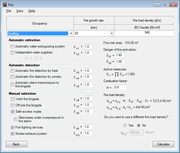 If you want to try Elefir-EN, feel free to download an evaluation version on the download page. 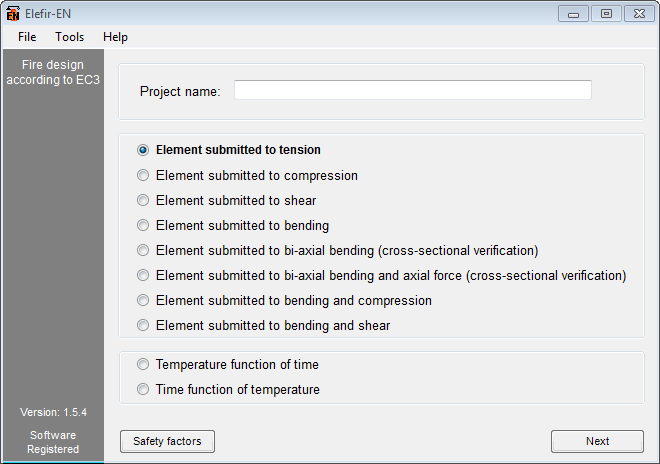 If you have any questions about Elefir-EN please use the contact page to contact us. 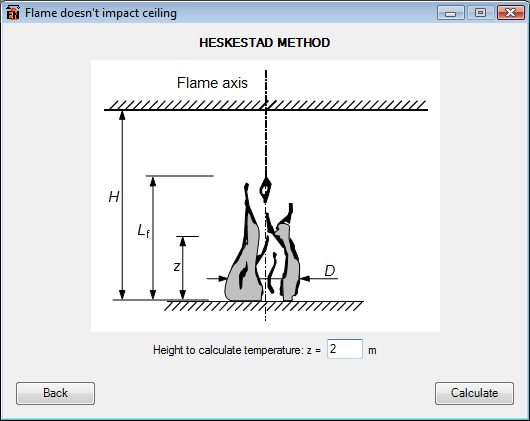 When the flame doesn't impact the ceiling, Elefir-EN calculates the fire temperatures with Heskestad method according to Eurocode. 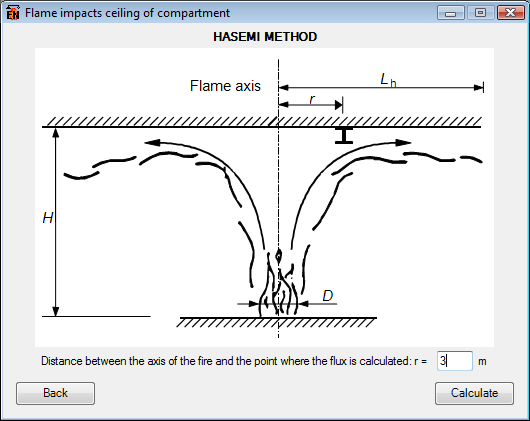 When the flame impacts the ceiling, Elefir-EN calculates the fire temperatures with Hasemi method according to Eurocode. 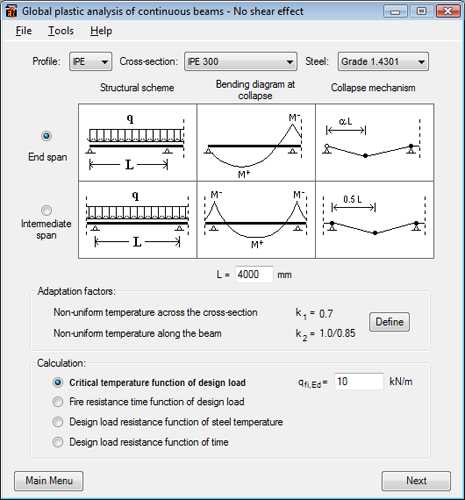 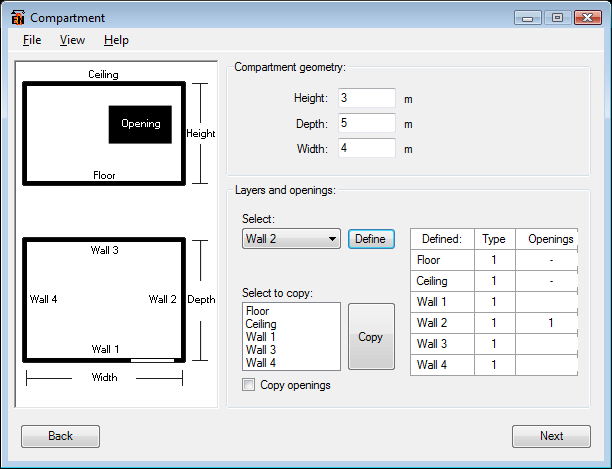 Elefir-EN has many options for considering fire exposure, you can choose from I shape sections, Hollow sections and now solid sections to perform thermal calculations. 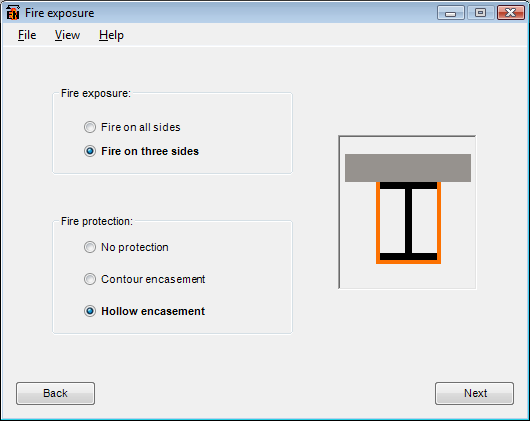 Elefir-EN has the possibility to consider contour encasement protection in fire exposure. 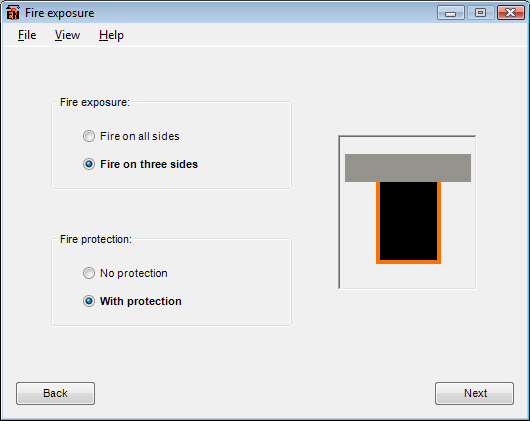 Elefir-EN has the possibility to consider hollow encasement protection in fire exposure. 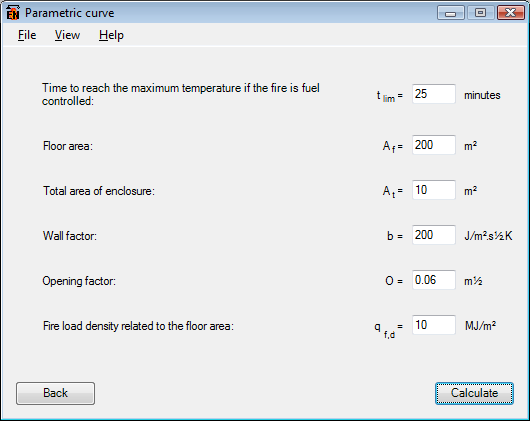 In parametric fires, Elefir-EN allows you to enter pre-defined user values. 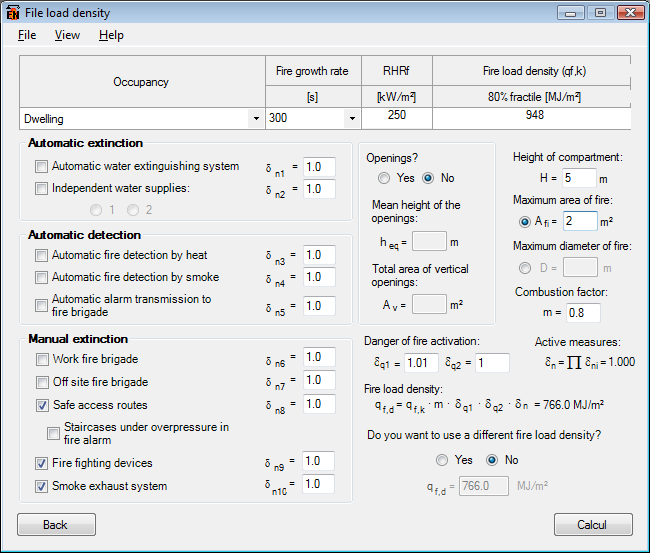 In parametric fires, Elefir-EN allows you to define the fire compartment with several options. 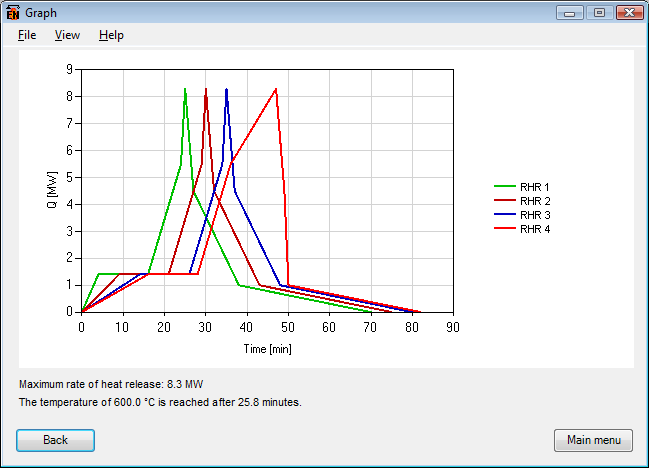 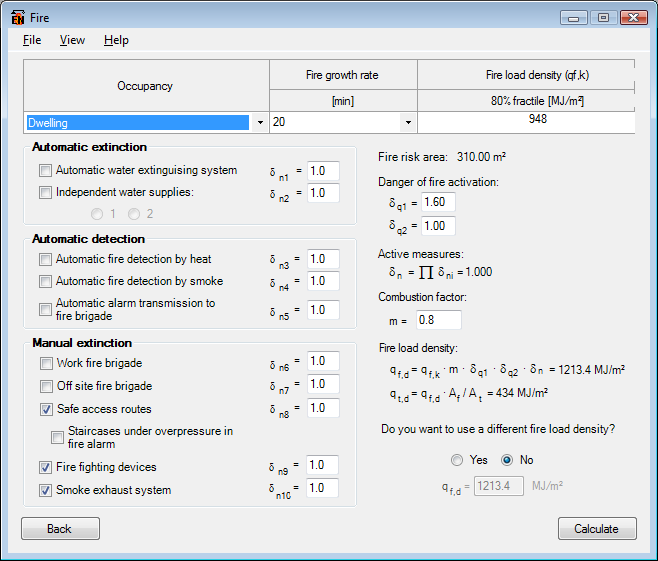 With Elefir-EN you can consider multiple localised fires acting simultaneous in thermal calculations. 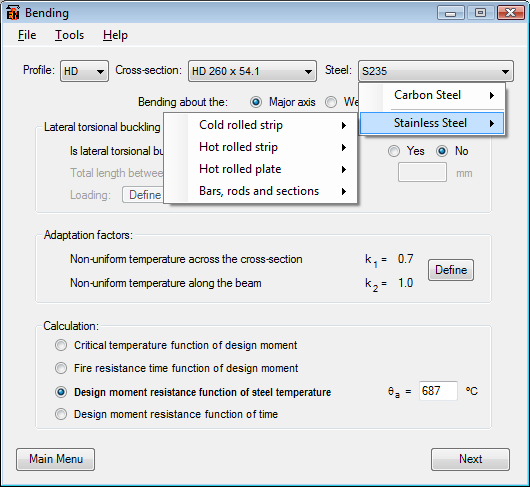 With Elefir-EN you can check for carbon and stainless steel elements according to Eurocode 3. 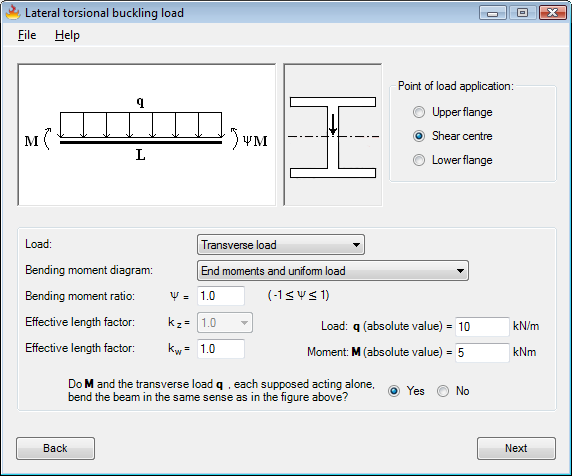 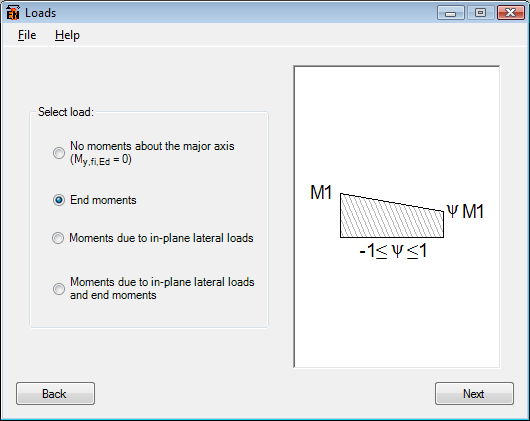 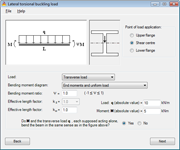 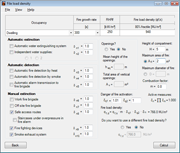 Elefir-EN calculates elements that are submitted to Lateral Torsional Buckling. 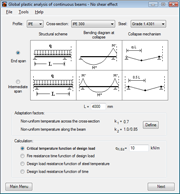 Elefir-EN can perform global plastic analysis of continuos beams with or without considering the reduction of the plastic resistant moment by the shear effect. 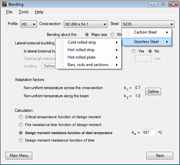 When an element is submitted to bending, Elefir-EN has all the load cases predicted in Eurocode 3. 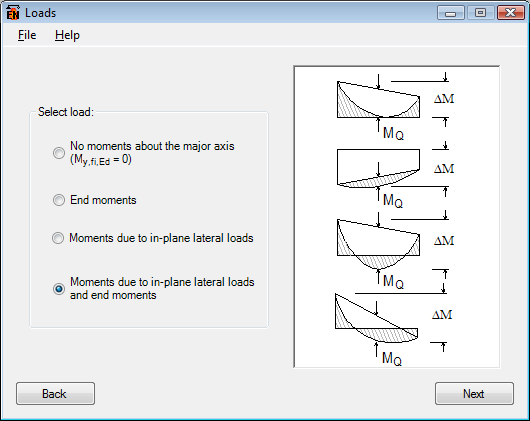 You can consider loads acting in both major and minor axis. 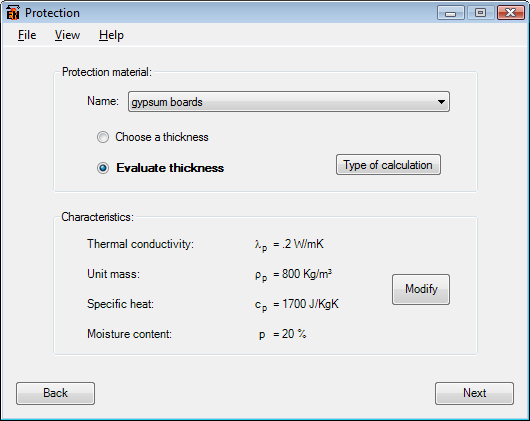 With Elefir-EN you can evaluate the protection material thickness needed for a given time. 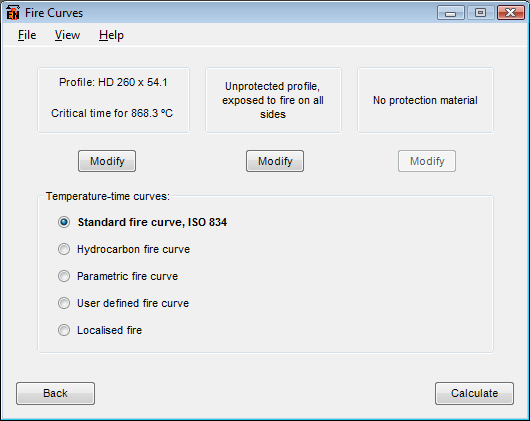 Elefir-EN has several protection materials already defined but you can also add protection materials by entering their properties even if they are temperature dependent. 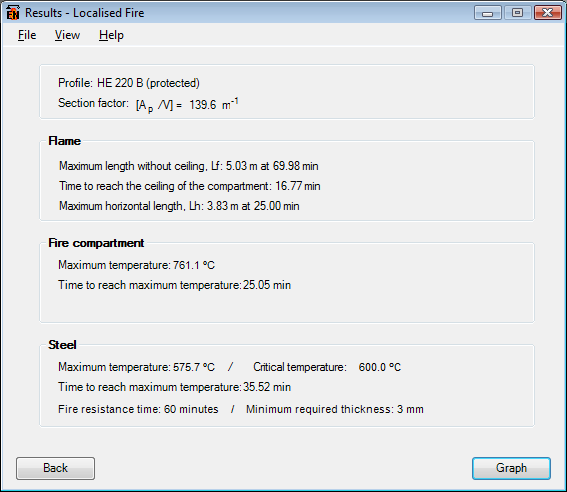 Elefir-EN thermal analysis results, here you can see the protection thickness calculated. 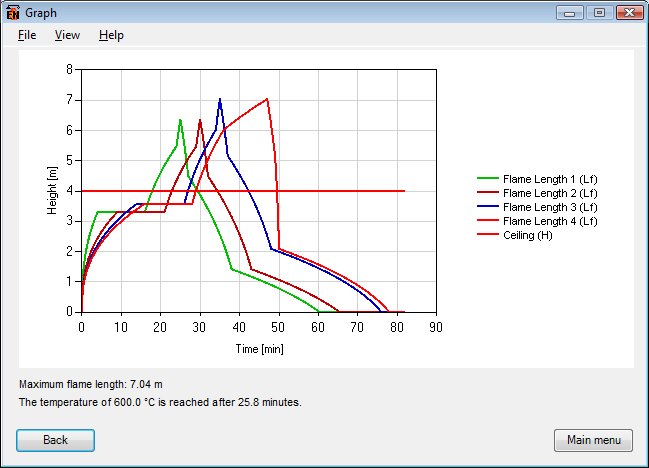 Elefir-EN thermal analysis results, here you can see the results of a localised fire calculation. 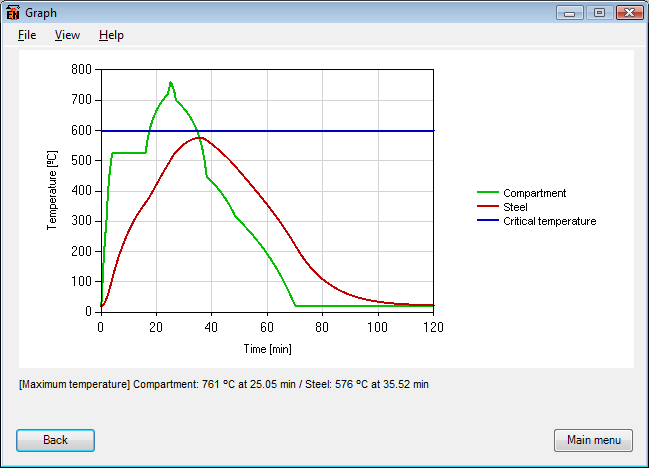 Elefir-EN thermal analysis results, here you can see the steel and compartment temperatures in a localised fire. 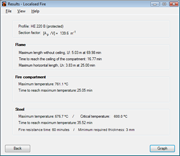 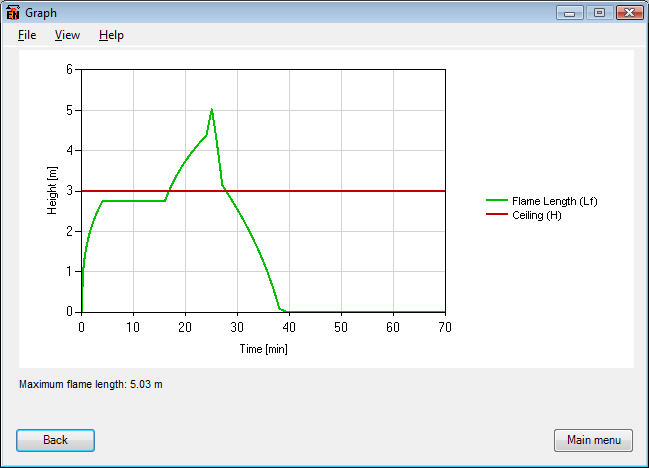 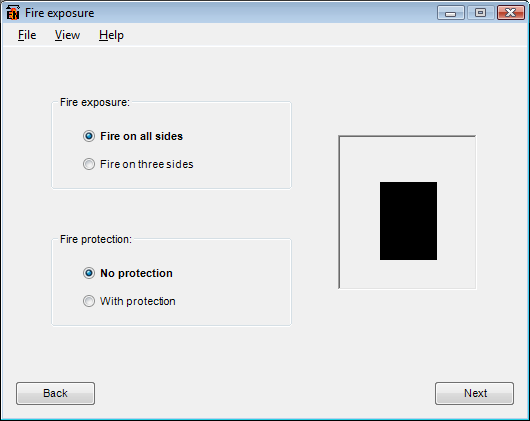 Elefir-EN allows you to see the flame length variation during a localised fire. 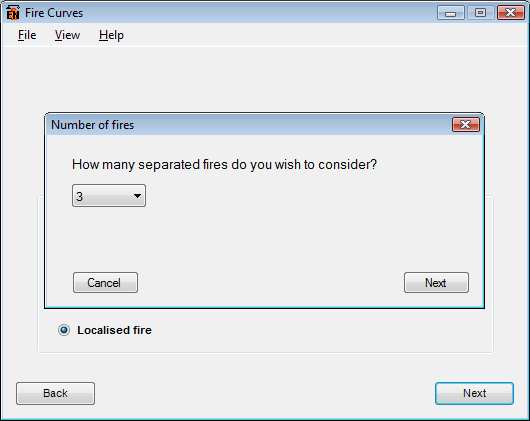 When considering multiple localised fires, Elefir-EN allows you to compare all the flame lengths involved during the fire. 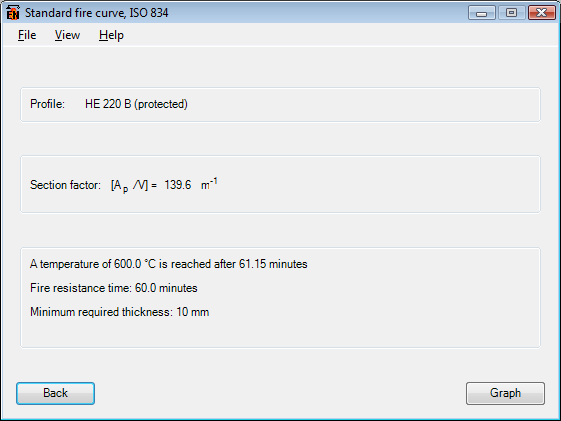 When considering multiple localised fires, Elefir-EN allows you to compare all Rate of Heat Release (RHR) curves of the multiple localised fires.